Are you tired? 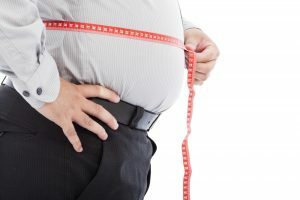 Are you putting on weight in the middle? These are 2 most classic Low T (testosterone) symptoms. With both, the diagnosis is extremely likely at any age. Other common symptoms include anxiety or depression, poor strength, poor sleep, brain fog, and the last thing to go is libido and sexual function. A blood test is needed to confirm the diagnosis. The bodies brain and body functions are best with a testosterone level of over 900. That is my minimum target for testosterone in a male. This can generally be achieved with a variety of treatment options including injections, pellets and rarely pills. Treatment with testosterone greatly improves quality of life. It is my best energizer and improves mood and sleep. In addition, libido and sexual function improve greatly in most. Besides improved quality of life, general health gets better! Testosterone stimulates the burning of belly fat! It improves muscle mass (even without exercise) and bone density. Therefore, testosterone’s main effect on weight is a redistribution to a healthier pattern. It also reduces your risk of Alzheimer’s disease, prostate cancer death, osteoporosis, diabetes and prediabetes, hypertension and cardiovascular disease. Testosterone deficiency increases your risk of death, and that increased risk has already been shown to be decreased with therapy in some populations (diabetics). There are risks and side effects of therapy that are best discussed 1 on 1. Elevated red blood cell count, elevated estrogen, and testicular shrinkage are the main risks. Fertility issues need to be considered as replacement can act as non-reliable birth control and promote infertility. In general, the risks of therapy are not as great as the risks of deficiency and no therapy. The higher risk of many illnesses and death with deficiency make side effects pale in comparison for most. Dr Adamcik has treated thousands of patients with low testosterone in the last 10 years. The results have been amazing and miracluous for many. ( see testimonial section) Become a member and enjoy his expertise.! DrAdamcik was the first to diagnose and treat the root-problem (low testsoterone) that had been plaguing me over 5 years. I’d seen 4 primary care physicians prior to DrAdamcik with no success or results. He has proven to me both through my own experience and through his written word, that he is an expert in the field of hormone therapy. His Philosophy and treatment methods have had an astounding effects on all facets of my life. I’ve experienced a 180 change in my marriqage, professional life, confidence , health, and attitude. I owe Dr Adamcik for not only savng me from further damaging my health, but for the knowledge he has armed me with to understand why my condition occurred and how to get my health back! I had friends who recommended Florida Anto Aging Center. I ehlo out for over a years. Only regret is not coming sooner. Dr Adamcik has taken good care of my concerns. I feel a million times better health and mind. Glad I finally came in! Thanks to Dr adamcik and his staff at 32 years old I was in the best shape of my life. After years of playing football and lifitng weights I was stronger, faster, and felt better than I EVER had!! When I initally came to Dr Adamcik’s office, I felt tired irritable, had low libido, and was gaining weight . Dr Adamcik checked my levels ,placed me on therapy, and after a short time and simple adjustments, I felt better and had more energy. Dr adamcik took the time to help adjust my idet and supplements, assuring I was living a healthier lifetyle .Thanks to Dr adamcik, I am healthier, and life a more enjoyable life.